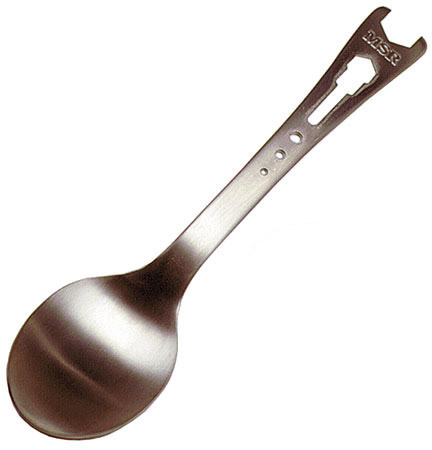 MSR® Titan™ Tool Spoon - The ultimate dual-duty titanium eating utensil. Ultralight spoon/stove maintenance tool. Learn more. Simply smart: a spoon on one end with a jet-and-cable tool for maintaining your MSR® liquid fuel stove on the other. Ultralight: Weighs just .79 oz. (22 g). Multi-Function: Spoon on one end and a stove tool on the other. Essential: Jet-and-cable tool is useful for maintaining any MSR liquid-fuel stove.